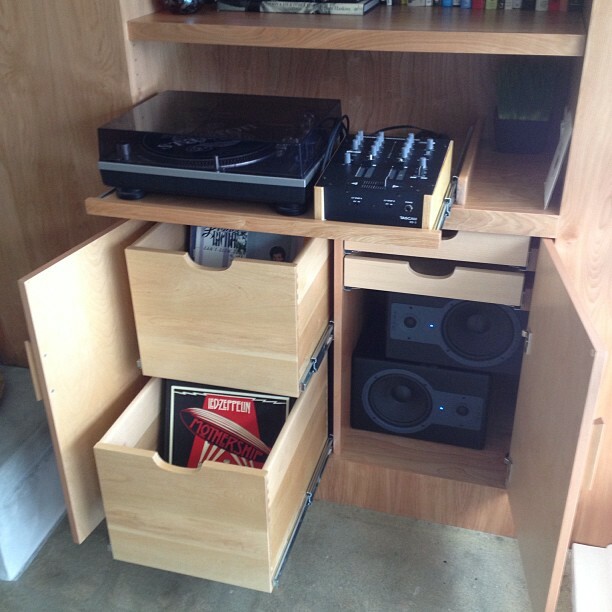 Vinyl storage! 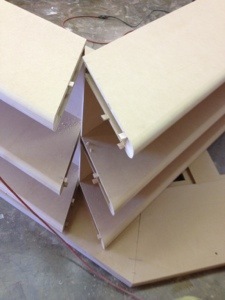 Out with CD’s in with vinyl. 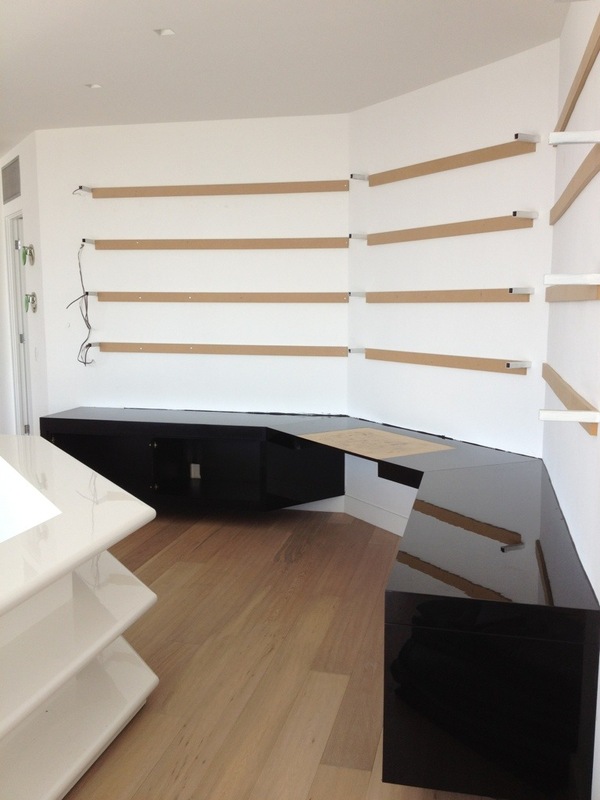 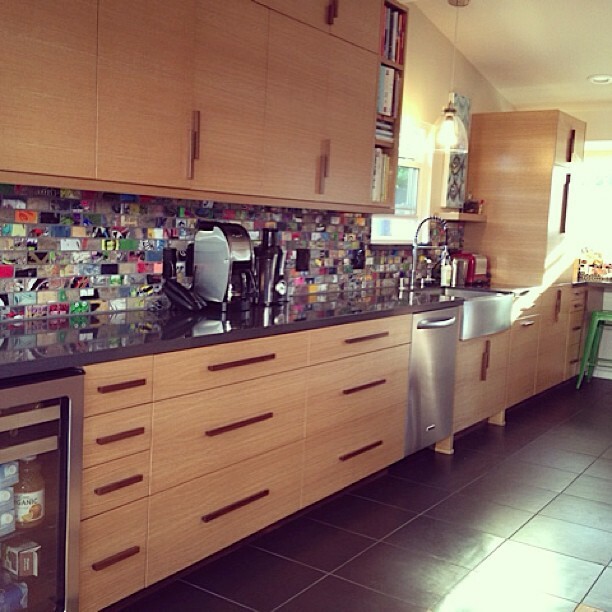 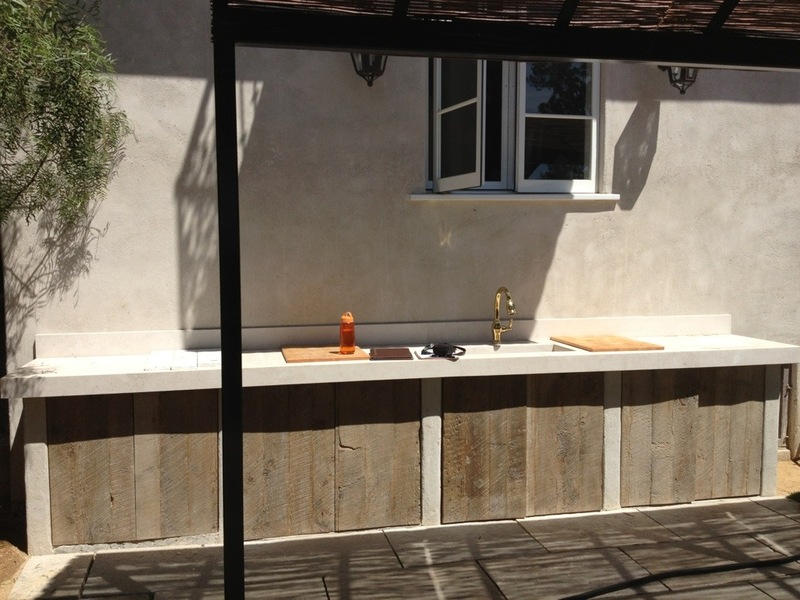 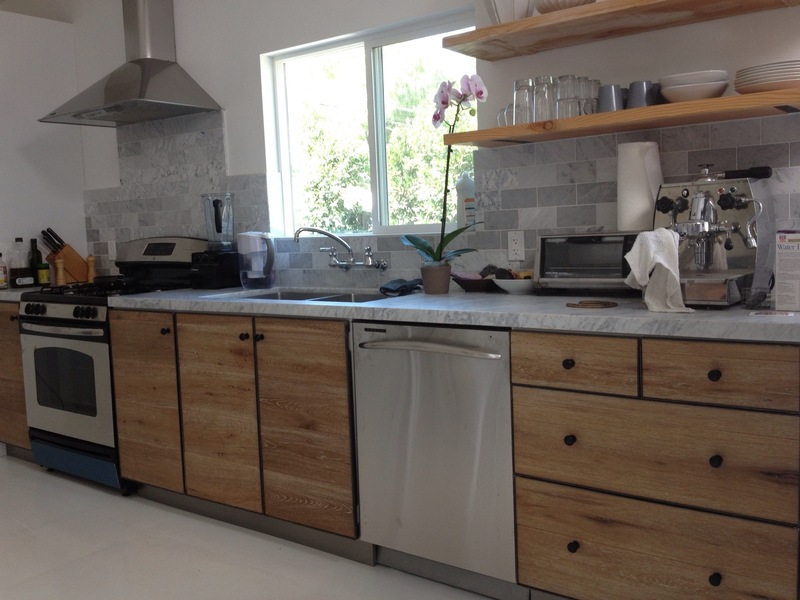 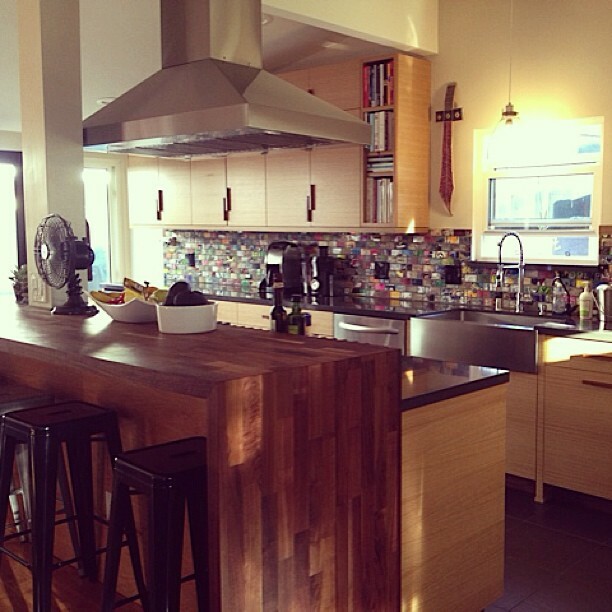 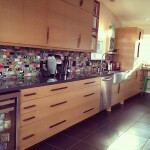 Custom Walnut handles, Horizontal White Oak, skateboard deck backsplash, and walnut counter top with waterfall. 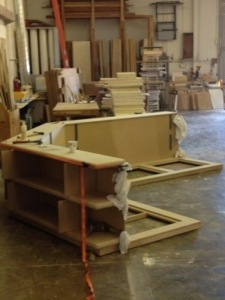 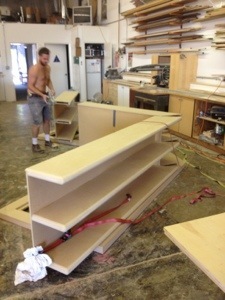 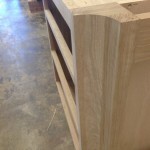 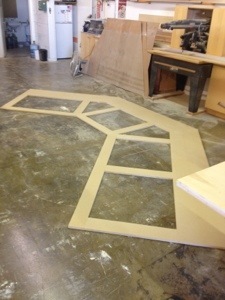 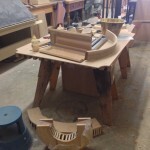 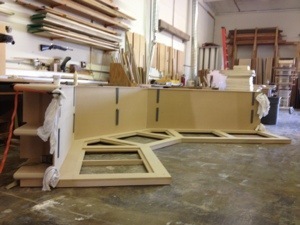 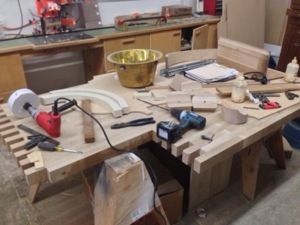 Parts to the Custom White Oak Kitchen Island. 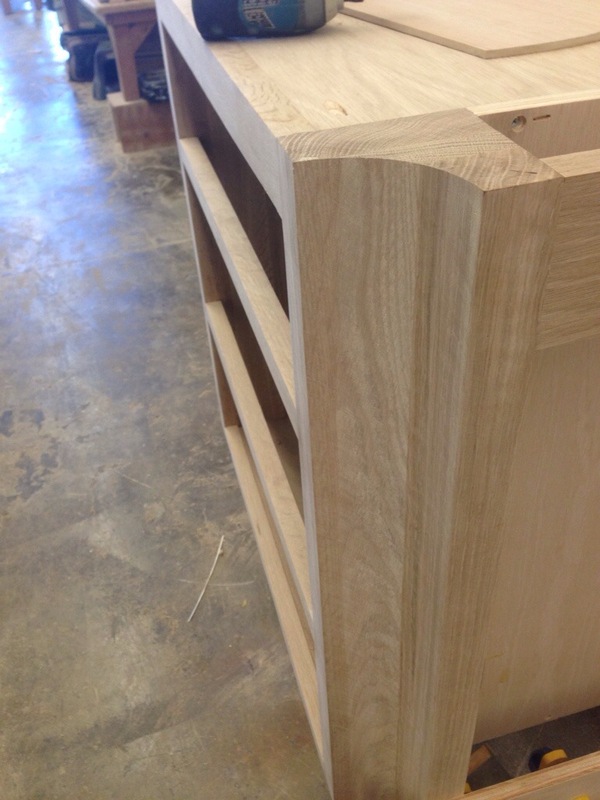 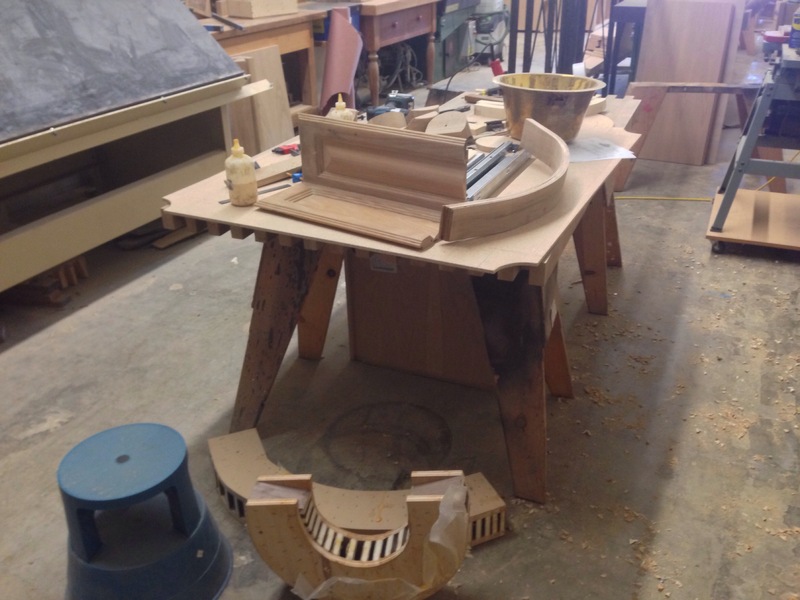 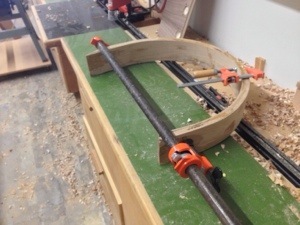 It’s going to have a 2 1/4″ White Oak end grain butcher block top with Walnut edging. 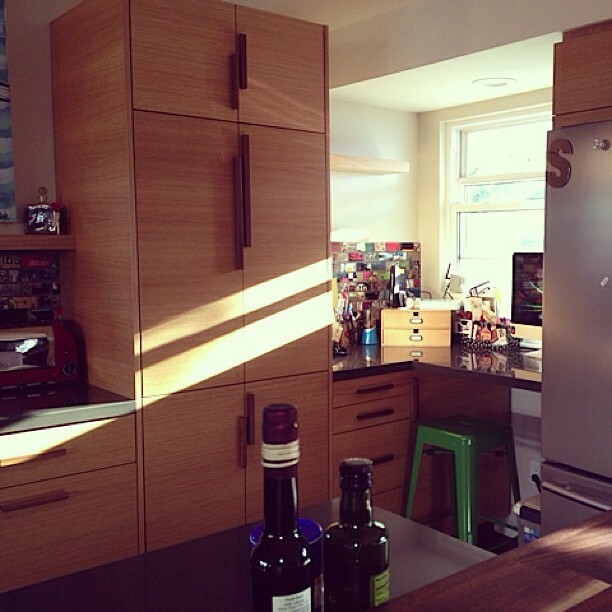 These kitchen cabinet fronts were refaced with angle iron for the frames and left over white oak hardwood flooring.